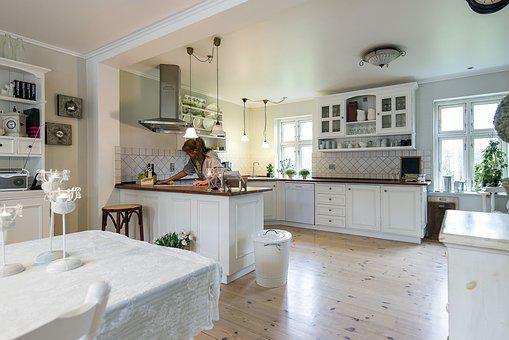 Giving your kitchen a thorough clean may seem like a daunting task, especially when it comes to emptying out the cabinets and giving them a thorough wipe down. However, you might be surprised just how easy it is to get your kitchen looking clean and brand new again. And what’s more, you will definitely feel better for it and your kitchen will be more organised as a result. We have compiled everything you need to know about cleaning your kitchen cabinets in this article, so you can take it one step at a time. How Often Should You Clean Your Kitchen Cabinets? 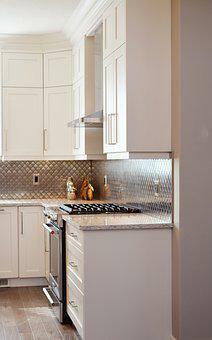 Your kitchen cabinets are resistant to a great deal. However, they can always do with some extra tender loving care to keep them in good condition. It is important to clean out the inside of your cabinets every 2-3 months to avoid the build-up of crumbs, grease, and dust. The outside of your kitchen cabinets should also be wiped down. However this should be done more frequently, every other wee,k to avoid the accumulation of dust and marks. When cleaning your kitchen, it is important you use the right sorts of products, to avoid any cross-contamination or strong chemical odours. If you want to go down the all-natural route, everyday household items such as baking soda, dish soap, and vinegar can all be used to great effect as cleaners and will not be harsh on your cabinets or shelves. If your kitchen cabinets are made from a special type of wood, it is worth doing a spot-check clean, using your cleaning product on a small section of the wood just to check there are no negative reactions. There are so many cleaning supplies you could use when cleaning your kitchen cabinets. However, we would suggets tthere are three must-have items you need; an old toothbrush, microfibre cloths, and a sponge with a scouring side. It is also important to wear a pair of reusable cleaning gloves. Not only will this protect your hands from chemical cleaners, but it will also help protect against dry skin and rashes. The first official step to cleaning your kitchen cabinets is to empty them out. While this is a time-consuming task, it does allow for an extremely thorough clean, ensuring no corners or crevices are missed. Another benefits of emptying each kitchen cabinet as you clean is that you can begin with a clean slate, throwing away any out-of-date items, pouring contents into labelled jars, and just generally re-organising your cupboards so they are easier to use and more pleasant on the eye. Top tip: You will thank us for this one; keep a list of all the items you throw away so that you can replace them the next time you’re at the grocery store. Use your chosen cleaner to thoroughly spray the inside of your cabinets before wiping them down with a microfibre cloth. For difficult corners or sticky substances, use the old toothbrush or scourer sponge to gently ease the stains away. Your cabinets will smell clean and fresh afterwards and look brand new! If your cabinets aren’t coming clean with a simple cleaning solution, try using something a little more specialised to target those tricky spots. Any residue leftover after the first clean can be tackled with a stronger cleaning product. If you have beautiful wooden cabinets, try a mixture of baking soda and coconut oil (one part oil and two parts baking soda). 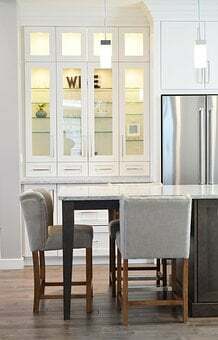 If you have wooden cabinets that you have painted, try mixing one part vinegar and one part water to create a solution to lift the grime without damaging the paint. Once the inside of your cabinets have been thoroughly cleaned, you should move onto the cabinet exteriors, as they collect just as much dirt and grime – if not more – from all your cooking and late-night toast making. Using your chosen cleaning solution and a microfibre cloth (or a sponge for those more stubborn marks), spray and wipe the exterior of your cabinets. Don’t forget to clean both the inside and the outside of the cabinet doors as both sides can accumulate surprising amounts of grease and grime. The handles on your cabinets and drawers collect a lot of dirt and grime, making your kitchen a rather unhygeinic place to be. To fix this problem, spray an antibacterial spray on the handles and wipe with a cloth. It really doesn’t take long but it can stop the spread of sickness and significantly improve the hygiene in your kitchen. Again, be sure to spot test your cleaner to ensure it will not damage the metal, glass, or wood of your kitchen cabinet handles. To complete your kitchen clean, go over every cabinet once more with a lightly damp microfibre cloth. This will help pick up any leftover specks of dust, any final stains, and any remaining water marks, leaving your kitchen cabinets bright and clean. Drying time is important when cleaning your kitchen cabinets. Putting food packets and jars back into damp cabinets only encourages mould and bacteria to grow. So, always leave your cabinets for an extra 10-20 minutes to stand and dry. And there you have it! 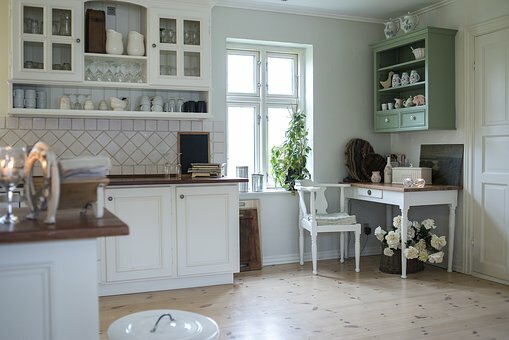 Our top tips for cleaning your kitche cabinets. We hope you’ve found this article useful and that it’s given you the motivation to give your kitchen cabinets a thorough clean out. If you would like more information about how to clean your kitchen, read our article on how to clean your oven for advice on how to tackle another difficult aspect of kitchen cleaning!